Soham delves into commercial litigation matters ranging from routine breach of contract to complex class-action lawsuits. 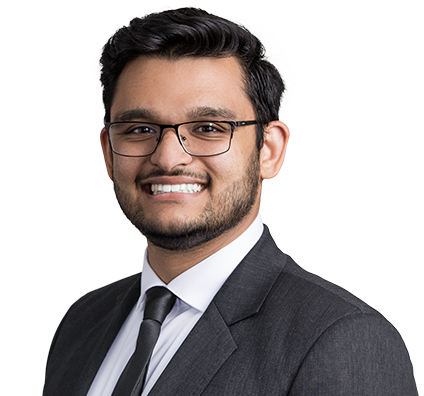 With a competitive nature and drive to learn, Soham contributes his research, writing and advocacy skills to the litigation teams on a variety of healthcare, education, toxic tort and premises liability cases. On behalf of clients’ best outcomes, he drafts responsive pleadings, conducts offensive and defensive discovery, assists in developing litigation strategies and prepares dispositive motions in state and federal courts around the country. He also has trial experience in local and federal courts, most recently as second chair in a week-long jury trial in the U.S. District Court for the Southern District of Illinois. Appreciating every opportunity to dig into new cases and fact patterns, Soham creates client strategies and solutions. He approaches each matter with a desire to achieve the best result possible for the client and maintains a keen understanding of how all the pieces must fit together as they proceed toward the end goal. A prisoner alleged that he was assaulted by guards and, in the subsequent fallout, was denied a number of his federal constitutional rights. Soham, as second chair, and two other Husch Blackwell associates, represented the Illinois inmate in a civil rights action involving several constitutional claims and more than 20 witnesses. In a difficult week-long jury trial, Soham and the attorneys persuaded the jury to find in favor of their client on one count, before settling two other claims against the state in the client’s favor. Persuaded court to set aside $5 million default judgment against national restaurant chain entered in a premises liability/personal injury case. Soham enjoys reading, hanging out with his dog, hiking and watching stand-up comedy. An avid fan of Michael Crichton’s sci-fi novel, “Jurassic Park,” as well as mysteries and spy thrillers, Soham often has his nose in a book. 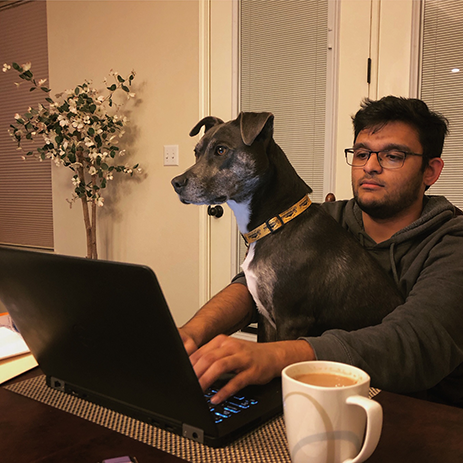 To stay active, he enjoys hiking in the summer months in Castlewood State Park in St. Louis County, Missouri, and playing with his pitbull mix dog, Arrow, who he rescued from a local animal shelter. Soham loves watching stand-up comedy, both live and online, and got up on the stage to perform before attending law school. He believes that having improvised as an amateur comedian still helps him think on his feet as a litigator in the courtroom. A rescue dog owner, Soham volunteers to help every dog find a forever home. Soham volunteers with Young Friends of the Humane Society of Missouri, a group of young professionals who sponsor fun events and programming to raise funds and awareness for homeless and abused pets in Missouri. Soham is especially passionate about rescuing large-breed dogs and finding them the loving homes they deserve.